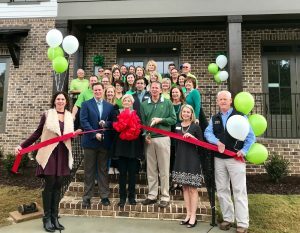 January 23rd they hosted over 100 people for a Dedication and Ribbon Cutting with the Augusta Metro Chamber of Commerce and the Columbia County Chamber of Commerce. Guest were treated to light lunch, the best cake around and guided office and design studio tours. 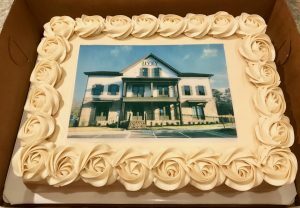 Mark and Matt Ivey and the entire Ivey team are proud of the company’s accomplishments and excited for what is to come for Ivey Homes! Ivey even made the news, thanks WJBF – Local Living! 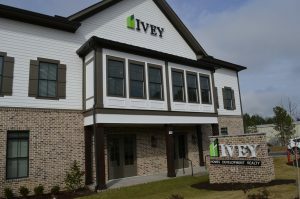 February 11th again, the new Ivey headquarters was open for the community, during the Columbia County Chamber’s Business After Hours. 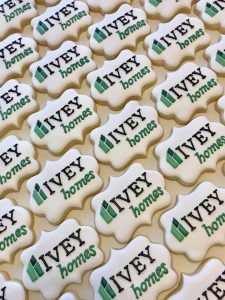 This event invited professionals and gave them a place to network and do some business while showing off the new Ivey Design Studio and office. 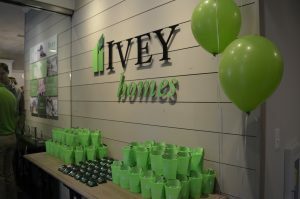 The Ivey Homes team targeted their time by inviting the Realtor community. Realtors are vital to new home sales in our area and we want to help their clients build their dream home. 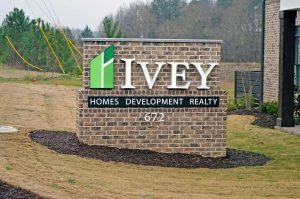 The new Ivey Homes Headquarters and Grand new Design Studio is located at 672 Industrial Park Drive, Suite 200 | Evans, GA 30809.